Human Migration is increasingly becoming as one of the most important social phenomena in ‘time’ and ‘space’ across all human society in this globalizing world and thus has changed the demographic-structural landscape at the receiving destination. It is also both great opportunities and challenges through the forces of globalization and urbanization which bring more ethnic migrants or newcomers into the fold of economic, political, social, and cultural contact with each other at the destination making the capitals and cities more multiculturalism in the world in general and particularly multiethnic country India. A large number of Northeast young population outmigrate to other cities of India in seeking for higher studies and work purposes due to lack of good educational facilities and job avenues for many years in the region. Though the migration generally helps ethnic minority migrants and their social networks from low-income households to access urban labor market for improving their economic well-being, still the challenging questions of their ethnicity, lived experiences of alienation, prejudices, discrimination, stereotyping, stigmatization and whether there is upward mobility at their place of destination are in questioned. 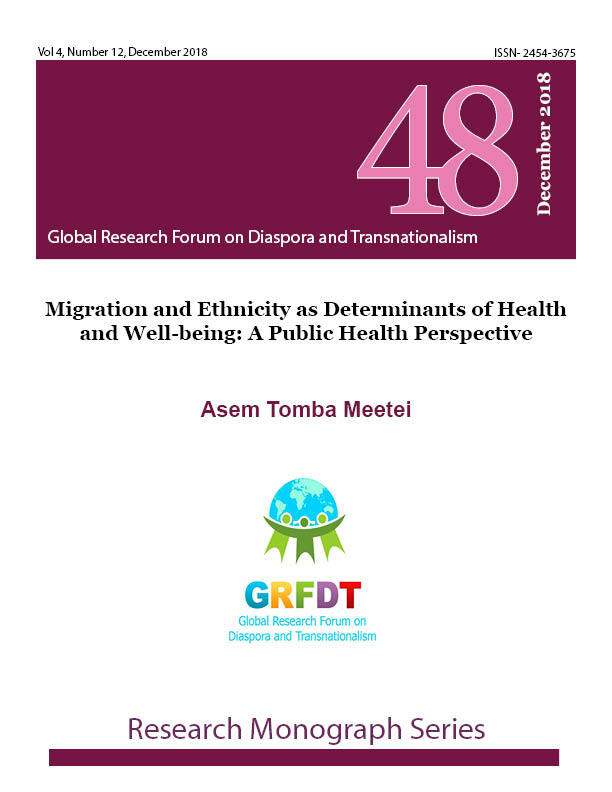 Empirical studies show that out-migration and destination’s physical and social new environment determining factors are closely related to migrants’ health and well-being. The paper seeks to understand migration and ethnicity as determinants of health and well-being from a public health perspective in the context of Northeast Migrants in the National Capital Territory Delhi and need for public health policy and planning for migrants. The paper concluded that a policy framework is needed for the welfare and safety of the Northeast communities in Delhi, and also other cities in India. A Tale of Two giant Diasporas: How Chinese Diaspora outperformed their Indian Counterparts?